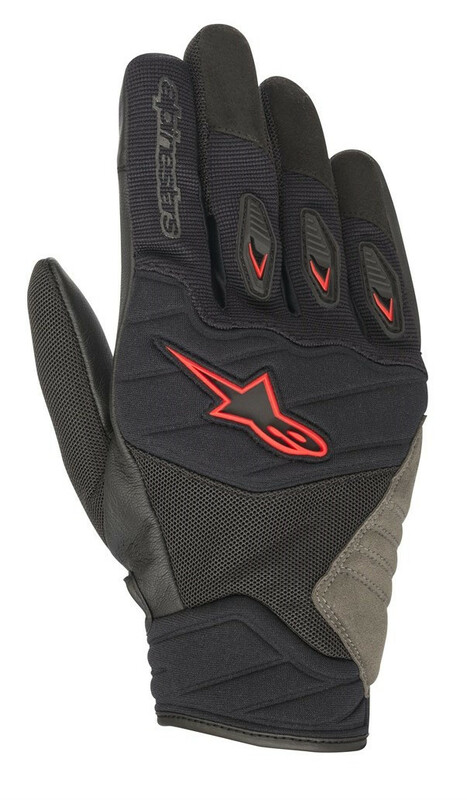 • Lightweight, multi-material and multi-panel main shell construction featuring stretch fabric, stretch and mesh for fit and breathability. 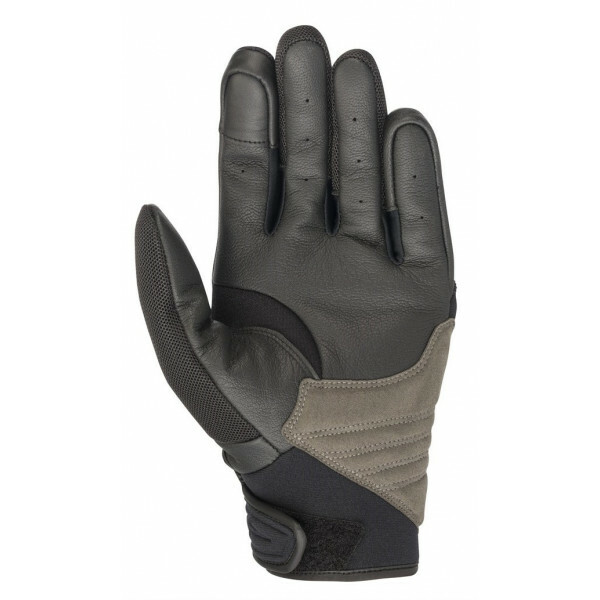 • Leather palm and fingers for comfort, durability and sensitivity on the bike’s controls. 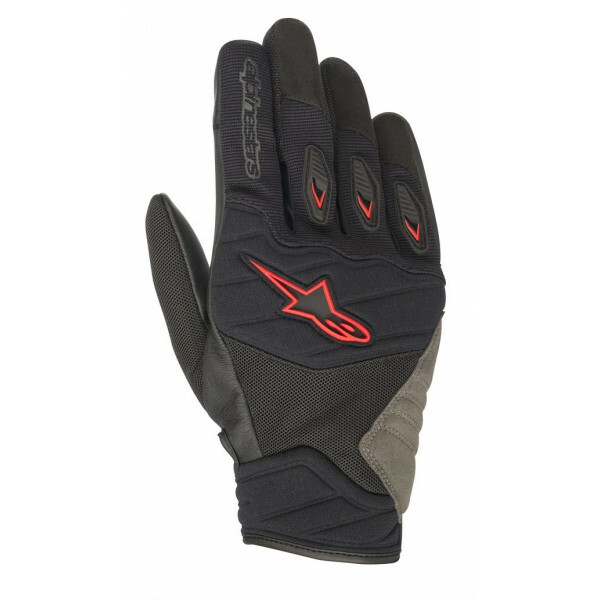 • Padded synthetic suede reinforcements on side hand and fingers for durability. 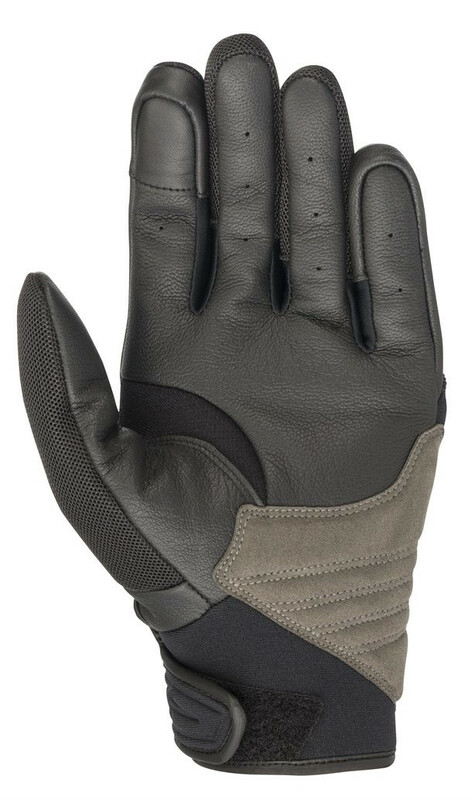 • Summer street glove optimized for warm weather.